Cuthbert Gordon Greenidge MBE (born 1 May 1951) is a former member of the West Indies cricket team. Greenidge was an opening batsman for the West Indies. He began his Test career against India at M. Chinnaswamy Stadium, Bangalore in 1974 and continued playing internationally until 1991. He was half of the West Indies prolific opening partnership with Desmond Haynes. The pair made 6,482 runs while batting together in partnerships, the highest total for a batting partnership in Test cricket history. Greenidge went on to play 108 Test matches scoring 7,558 runs with 19 centuries. He also played 128 One Day Internationals, including the 1975 and 1983 World Cup Finals, scoring 5,134 runs and 11 centuries. Greenidge scored two double centuries against England in the 1984 summer Test series (also known as the "Blackwash" series WI winning 5–0). He scored 214 not out during the second Test at Lords in June 1984, then followed up with 223 during the fourth Test at Old Trafford during the last five days of July. The first of those innings was on the last day as West Indies successfully chased 342 for victory; it remains the highest ever run chase at Lords. He also played many seasons for Hampshire in the English County Championship, and for many years opened with Barry Richards. He began his first class cricket career there before he played for Barbados and could have qualified for England. Late on in his career he appeared for Scotland. In his career he scored 37,000 runs and 92 centuries. 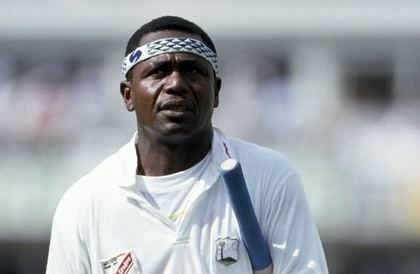 Greenidge is currently on the West Indies selection committee for Test matches, along with Viv Richards. His son Carl Greenidge coaches at Bancrofts School with John Lever. Greenidge was also successful in his coaching career. He became the coach of Bangladesh in 1997. Under his guidance Bangladesh became the champions of ICC Trophy in 1997 along with the chance to play at their first World Cup finals in 1999. Soon afterwards Greenidge was given the honorary citizenship of the country. 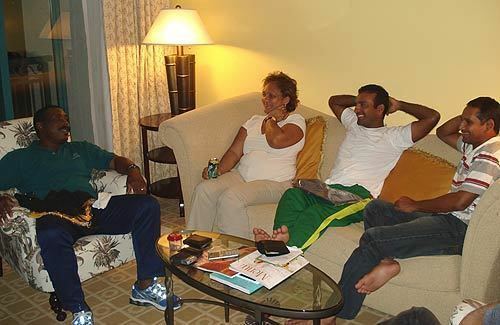 He also coached them during the 1999 Cricket World Cup and the team eventually promoted to a Test playing after their performance during the World Cup.